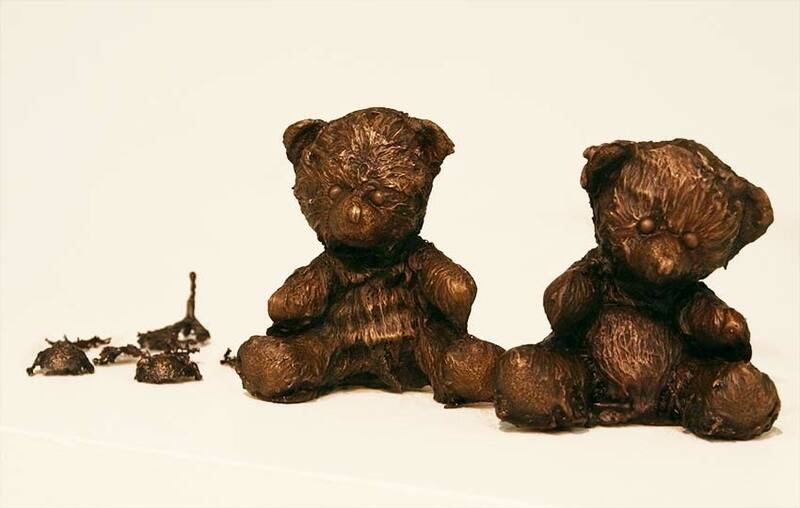 Bronze Bears – Various results from direct slipcasting of bronze bears. 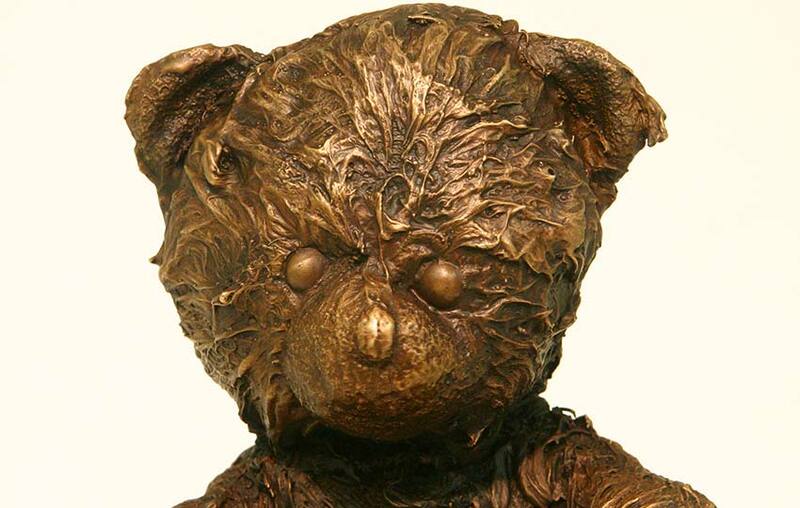 Bronze Bears – Detail of one of the direct casts of stuffed bears. Bronze Bears – Mold for “Proper” bear. Bronze Bears – Gating for “Proper” bear. 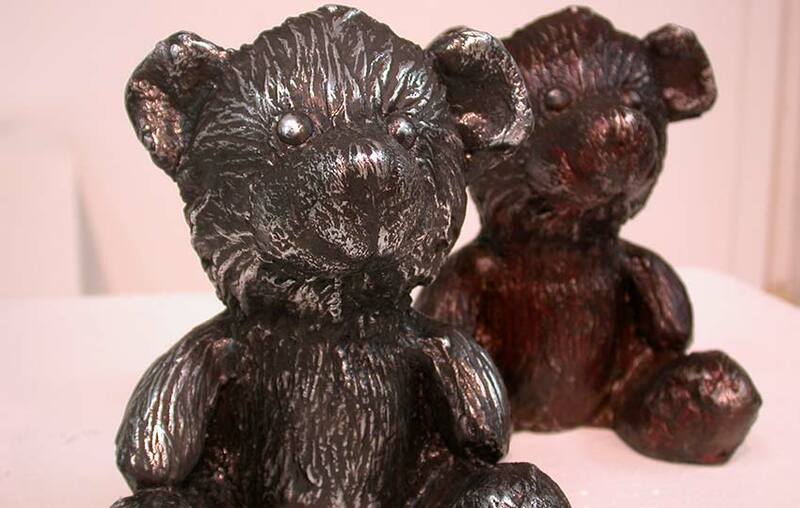 Bronze Bears – Aluminum and Bronze “Proper” bear. 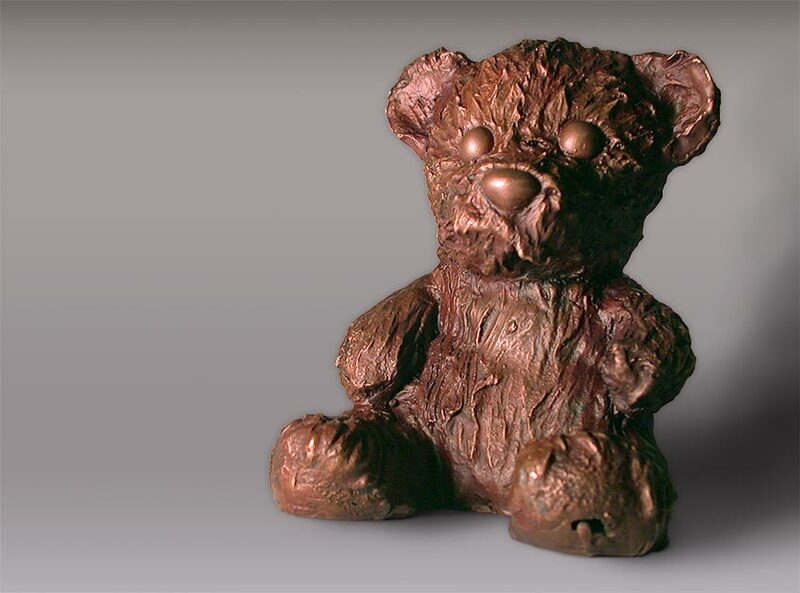 Bronze Bears – Final “Tweak” bear sculpture. I enjoy working with the Teddy Bear concept in both my 2D and sculptural art. I have made some pieces ofr animation in Maya, but also castings for myself and fundraisers. Slip cast bronze with Fe(NO3)3 patina. 8″ tall. Unique pieces with no mold (burn out of stuffed animals). Different temperature slip casts with hollow shells. Cast bronze with potash patina. 8″ tall. 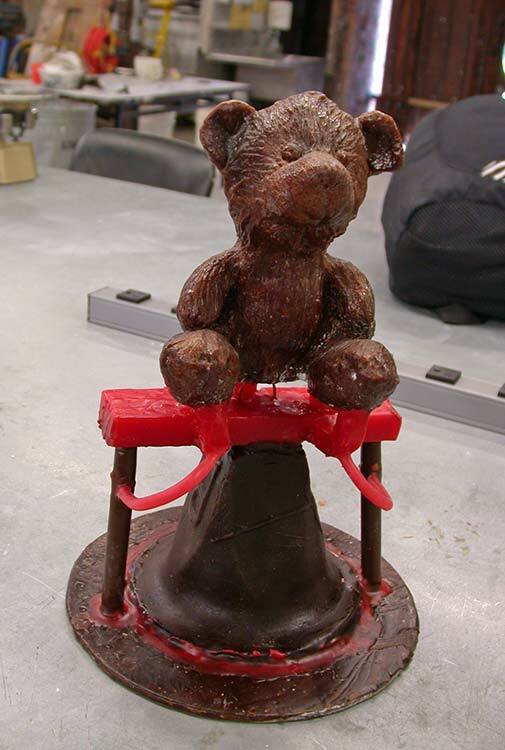 Bear casting from original mold. Edition of ten. Cast bronze with Fe(NO3)3 patina. 8″ tall. 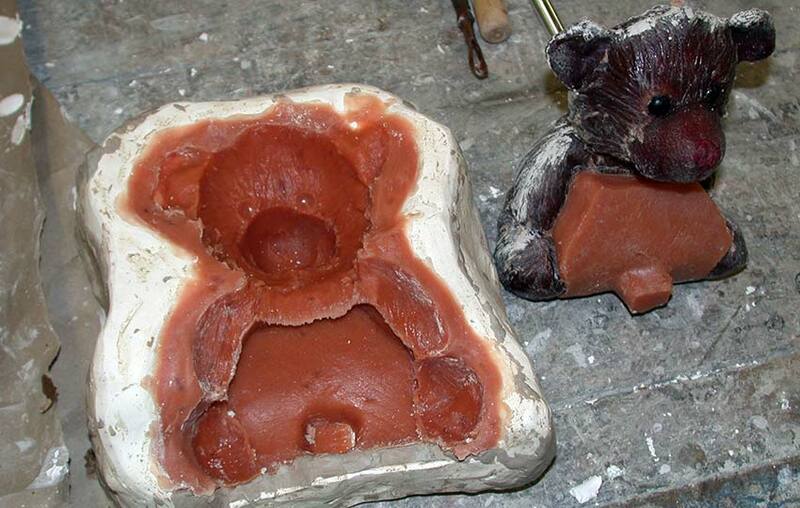 Bear casting from original mold. Edition of five.